IBM has just released a “new” free office suite (word processor, spreadsheet and presentation software) called IBM Lotus Symphony. Will I ever be able to tell my students to learn Assembler after this?!? 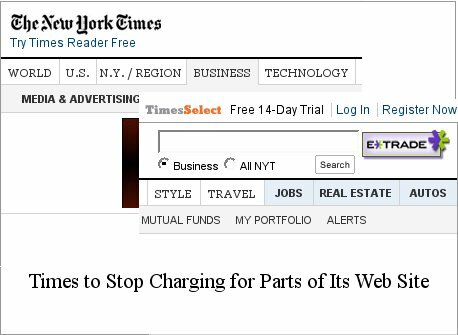 The New York Times will stop charging for accessing parts of its web site including 20 years of archive (from 1987 onwards). Fantastic! Instead of making us pay, the New York Times will get its money from advertising. As a corollary, is it possible to have a (paper) newspaper in 2007 which does not have a website with 100% free content? Will that be possible in 2010? I have my doubts. A Java Virtual Machine (JVM) is a set of computer software programs and data structures which implements a specific virtual machine model. 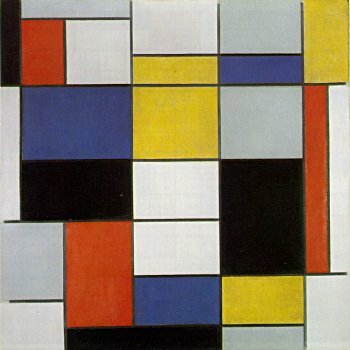 This model accepts a form of computer intermediate language, commonly referred to as Java bytecode, which conceptually represents the instruction set of a stack-oriented, capability architecture. This code is most often generated by Java language compilers, although the JVM can also be targeted by compilers of other languages. This clearly indicates that any programming language that has a compiler that can produce Java bytecode can be used to write programs that run on the JVM. Personally, as a fan of Ruby, I am watching JRuby very closely.